Dr. S Nazim Ali is the Executive Director of the Islamic Legal Studies Program at the Harvard Law School, Dr. Ali is occupied with the compilation of an ongoing bibliographical databank on Islamic finance, which is expected to be of exceptional benefit to the scholarly community working in the field. In addition, Dr. Ali answers requests about research in the field and provides information on Islamic finance from different parts of the world. 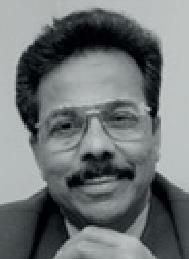 He is the author of the 2005 book Islamic Finance: Current legal and regulatory issues.